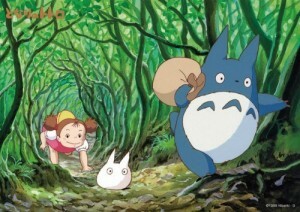 Today we learned lots of Japanese forest vocabulary! In this review, we will list all the vocabulary words that were in the video and some that weren’t! 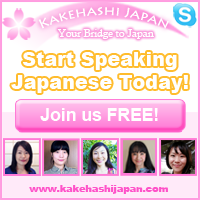 Learn the Japanese words for fox, flower, mushroom, and many more! ★　Today we visited the mori! 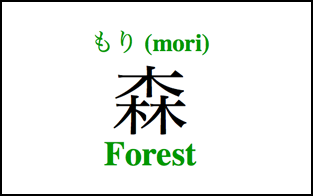 ★　The kanji for mori is made up of three trees, representing a place with many trees, a forest! 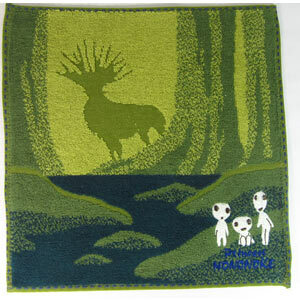 ★　The first thing we noticed when we went to the forest is that there are a lot of trees! 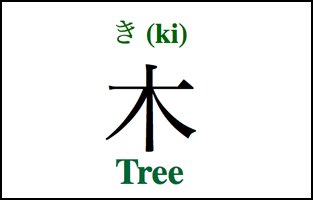 The Japanese word for tree is ki! 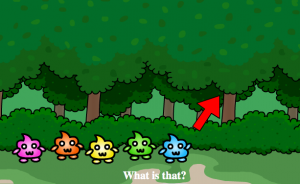 ★　The kanji for ki looks just like a tree! ★　We saw a cute little squirrel too! 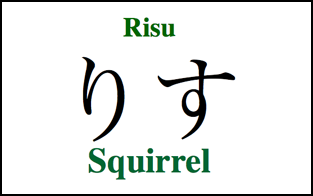 ★　The Japanese word for squirrel is risu. 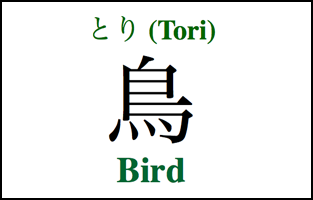 ★　Tori means bird in Japanese! 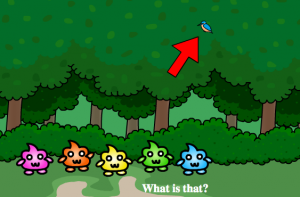 ★　Although there are specific Japanese names for different types of birds, as there are in English, tori can be used generally for any kind of bird! 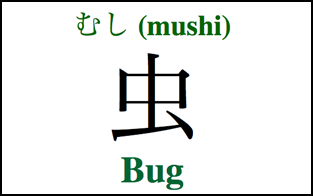 ★　Mushi means bug in Japanese! 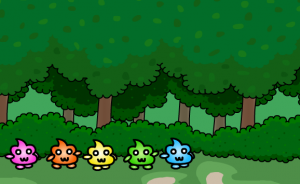 There are a lot of mushi in the mori! 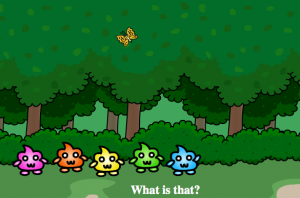 ★　Although there are specific Japanese names for different types of bugs, as there are in English, mushi can be used generally for any kind of bug! 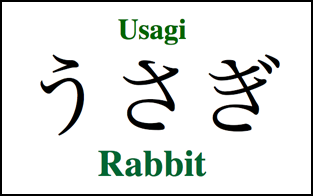 ★　The Japanese word for rabbit is usagi! ★　The kanji for usagi is 兎（うさぎ）– although there is kanji for this word, many people just use hiragana or katakana to write it. This is the case for many animals. ★　The Japanese word for butterfly is Chōcho. ★　Chōcho are so beautiful! 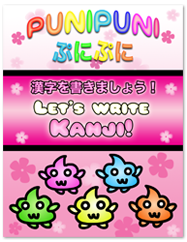 ★ Another way to say it is Chō (ちょう) – The kanji for chō is 蝶 – This kanji is kind of difficult, so people often write it in hiragana or katakana. 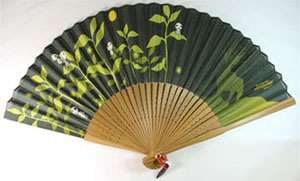 The kanji for chōcho is 蝶々 but just like the kanji for chō, it is not used very often. ★　We also saw a kuma. 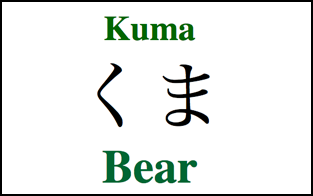 ★　The kanji for kuma is 熊 (くま) – It is common to use this kanji, but it is also common just to use hiragana or katakana. 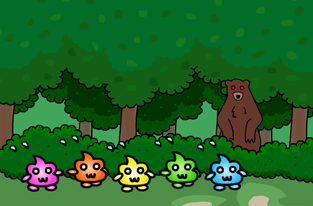 ★　Kuma chan kind of scared us but I don’t think he meant to. ※The kanji in parentheses are not used very often. 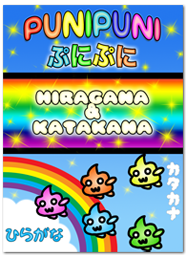 Most people just use hiragana or katakana for these words. 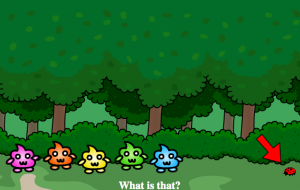 We learned a lot of Japanese words on our trip to the forest! 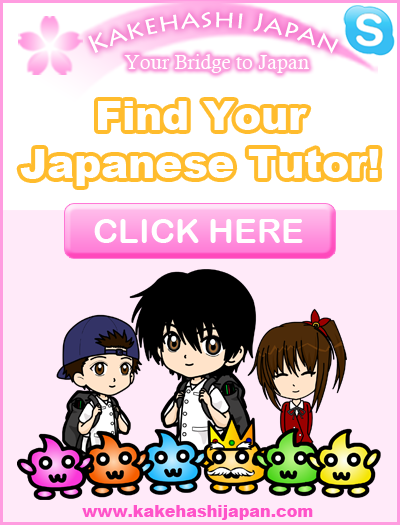 But there are always more Japanese words to learn! 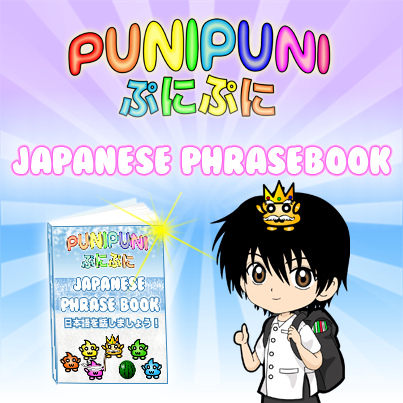 Study the additional vocab list to expand your Japanese knowledge! 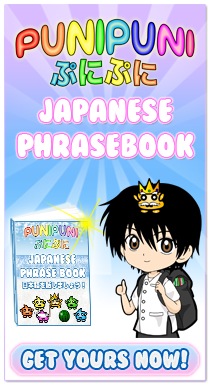 And of course, make sure to watch the next episode of our new Japanese vocabulary series! 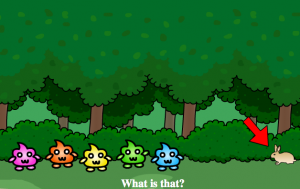 First, thank you for your vocabulary lessons, it’s very cute and helpfull! 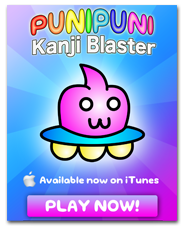 It’s a easy way to know some words in japanese. Anyways, thank you very much for your video. 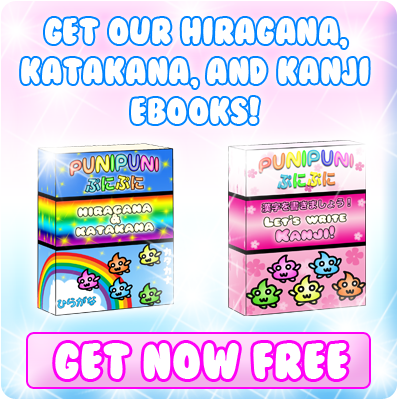 I have spent two years trying to find a website fun enough for both my daughter and I to learn Japanese. I’m very glad that I found it today, we will be looking forward to many more lessons. Thank you very much once again! 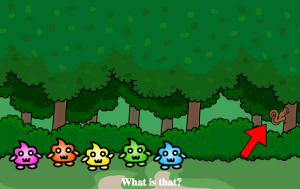 What are they saying when they ask, “What is that?” It sounds like they’re saying “Are wa nan desu ka?” but I thought it was “Kore wa nan desu ka?” Please clarify. 😀 Arigato gozaimasu. Going through all these vocab lists making flashcards! 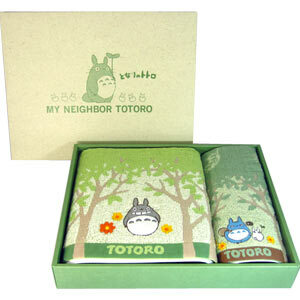 Reading through this one again though, isn’t a tanuki a raccoon-dog thing, and a raccoon is well.. a raccoon? 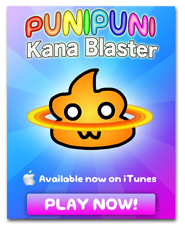 Or is it the same in Japanese? ごめんね！(>ω<)☆ You're right! I will change it. タヌキ (tanuki) translates as "raccoon-dog" and the raccoon that you are familiar with translates to アライグマ (araiguma). 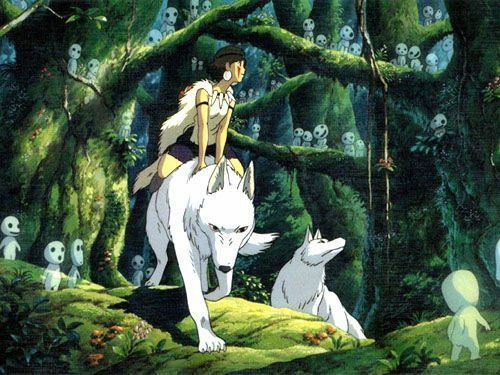 According to Wikipedia, タヌキ is native to Japan and other Asian countries, and アライグマ is native to North America.